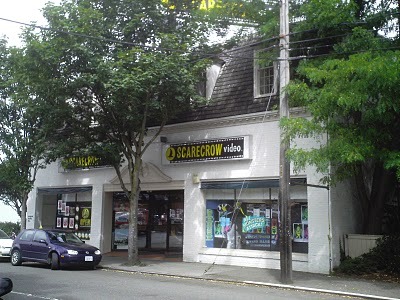 Scarecrow Video, just off of Roosevelt & 50th in the U District in Seattle has EVERY title! Ask any one of the employees as you walk in for any new release, genre, director, obscure indie or international title and their degree in film studies will register beneath the lenses, and a pointer finger will raise to the exact location of that movie. Beware. When I say EVERY movie…I mean it. Many are not for young eyes…or mine. But go. If you remember seeing The Hunt for Red October on an old gigantic lazer disc and you’ve ever wanted to relive that experience, you can rent players there. Even VHS players (what are those, right? ), and projectors for that backyard film fest. Remember that one that you saw with your mom on Turner Classics when you were little that just haunts you? They’ve got it. What’s that one Wes Anderson movie? It’s there, and they know. So, go! Visit Scarecrow Video and support a local legend. If you have out of town guests coming in, show them Seattle and take them to Scarecrow. Let them pick the movie or take them to the Italian film section and rent Life is Beautiful for a lovely and memorable evening. Say Hi to Kevin for me while you’re there. Shake his hand. He’s a good man. I’m a former Seattle resident and former film reviewer who frequented Scarecrow Video. Glad to see it is still around. It’s an amazing blog.This was a very well-written and enjoyable post to read.